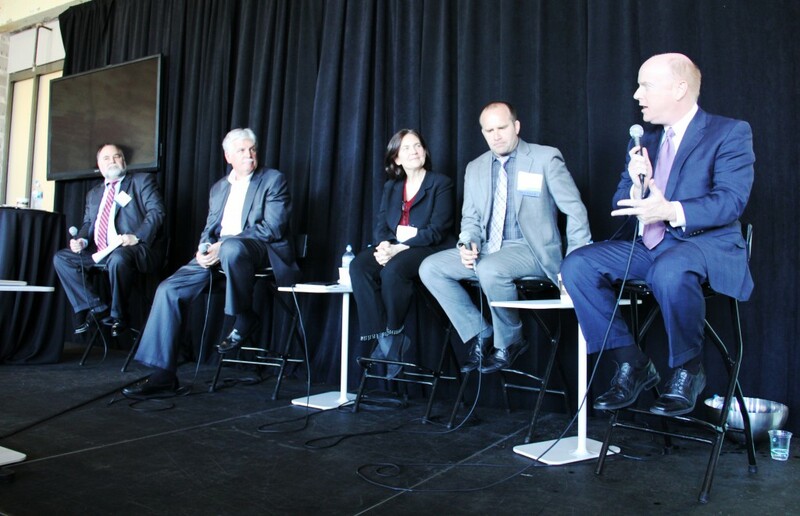 Yesterday, the Urban Land Institute St. Louis hosted an interesting forum on autonomous (driverless) vehicles and what the future may hold for them in St. Louis. The featured speakers were Susan Zielinski from the University of Michigan Transportation Research Institute in Ann Arbor; Greg Stubblefield from Enterprise Holdings, Inc.; Ezra Kramer from Walker Parking Consultants in Chicago; and John Nations, Bi-State Development President and CEO. Here is a portion of what Nations shared with the group about driverless cars, technology and public transit. Autonomous cars are part of a long continuum that is affecting transportation, particularly public transportation. Here in St. Louis, we at Metro transit, pride ourselves on leading the industry on technology. We have the number one maintenance division in North America. We get more miles out of our vehicles on a more efficient and reliable basis than anybody else in the country. A lot of people don’t know this, but it’s a fact. The first revolution in technology is not going to be autonomous cars, it’s what’s taking place now. 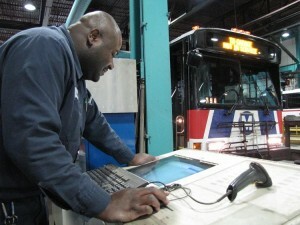 We work with technology companies and bus manufacturers across the country who come to St. Louis specifically to work with us and even take the unprecedented steps of sharing their proprietary computer programming source codes so that we can put that into our (transit) facilities. We have buses that, in order to save labor costs and make them more reliable, will literally wake themselves up in the morning while they’re sitting on the lot. They run their own diagnostic tests and will send a message to the maintenance department that says, “Hey, I’m in slot 3557 and I’m okay” or “My tail light is out” or “My transmission was running too hot.” We then feed this information into our inventory management system so that we can order its parts. This has allowed us to significantly reduce our inventory holding costs. So, where does public transportation fit in? Right now, the revolution we’re seeing is very interesting, because Uber itself, and Lyft, are changing the business paradigm. 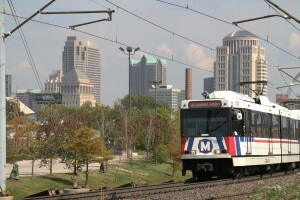 Historically, particularly in St. Louis, you either own a car or ride public transportation. It’s interesting, because owning a car is often about 10 times more expensive than riding public transportation. In St. Louis, you can ride public transportation as much as you want and over the course of a year spend less than $1,000. The price of a car is substantially more than that. We have an entirely new generation, an entirely new market, not just young people, but people of all ages who are willing to do what? They’re willing to pay to have somebody transport them. They’re not getting on the bus, necessarily. Maybe cabs have been too expensive over the years, but they are willing to pay. That is an entirely new market and that is a paradigm shift. How can Uber and Lyft work in tandem with Metro? Let’s take St. Louis County, which doesn’t have the core density like the City of St. Louis does. It’s very expensive to run transportation to some of the outer-lying areas: out to my area in Chesterfield, South County or North County. But what opportunity does Uber offer us? If I can use Uber to extend the reach of the public transportation system, that would give us a lot more reach. As public transportation evolves, can we use Uber and Lyft on a cost-effective basis to reach our service area around our county and around our region which we cannot reach cost-effectively now? In this method, we’d expand the use of public transit while at the same time, doing it with possibly fewer vehicles. This partnership could also help promote and change things like real estate policies and transit-oriented development, bringing people we don’t have now into these (transit) lines. That could substantially change the business model and the cost paradigm. We have a huge responsibility not only to transport people, but to transport them safely. We’re excited about the future. To learn more about public transportation and the role of driverless cars, check out this white paper report from the Bi-State Development Research Institute. This article discusses nothing about driverless cars? The title is misleading.